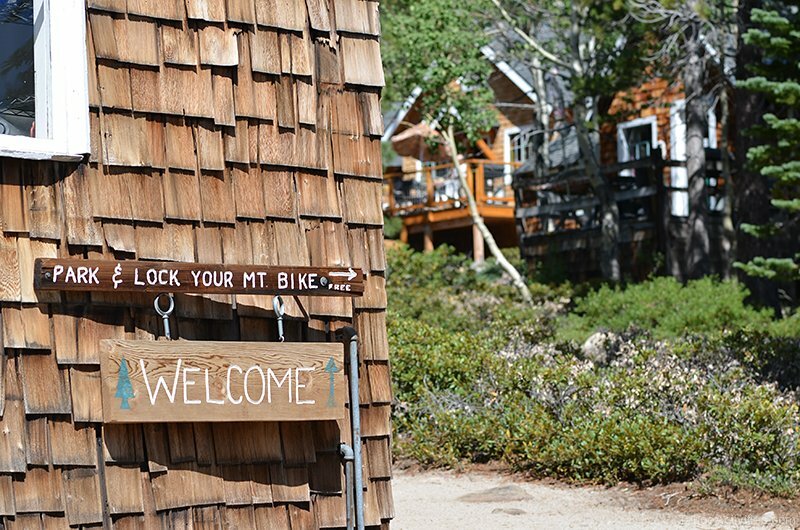 Looking for a peaceful and relaxing day in nature that is not too far from Lake Tahoe? 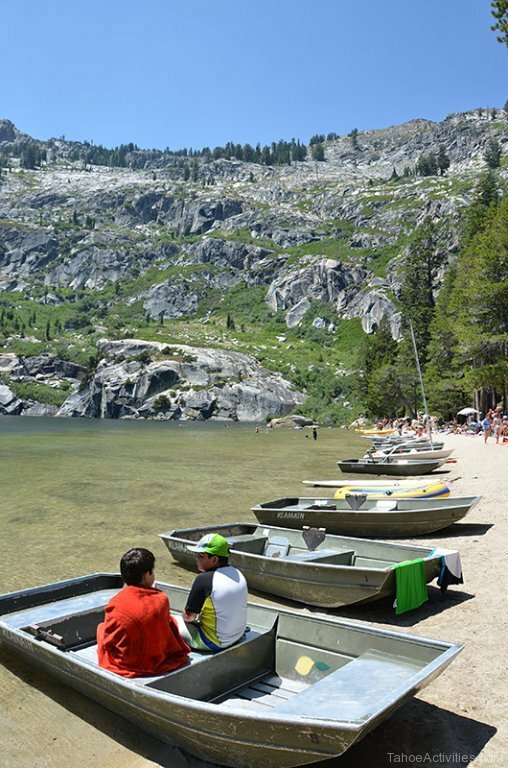 Angora Lakes are a great place to take your family for a day of picnicking, swimming, and water sports all under the gaze of the majestic granite cliffs that literally descend right into the lake. This unique natural landscape provides for many ledges and giant boulders that the more daring visitors enjoy cliff diving from – the favorite being a thrilling 60-foot jump. If you are looking for fantastic views, this is the place to come. The sunshine literally makes the surrounding mountains and stately trees glow as they reflect off of the clear sparkling lake waters. Spend the day with family and friends, drink in the crisp mountain air, and let your worries float away in the warm breeze. In the summer, it doesn’t get much better than this! 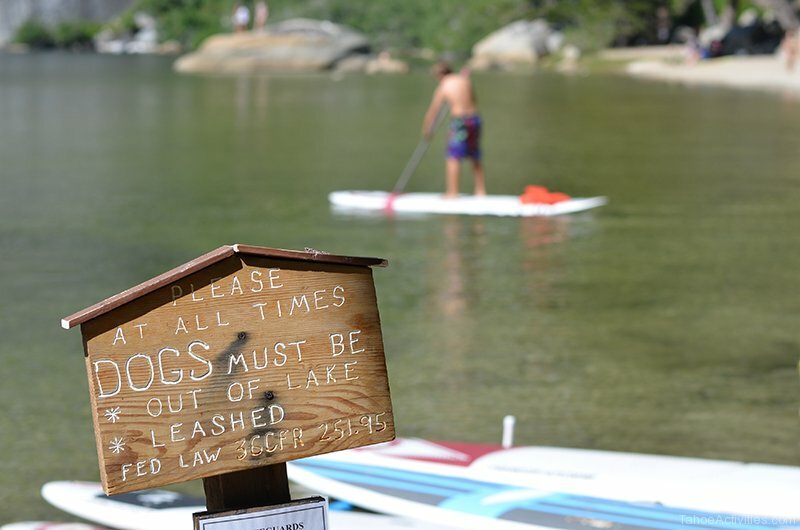 One note, you might consider leaving your dog at home since they must be on a leash and kept out of the lake at all times. 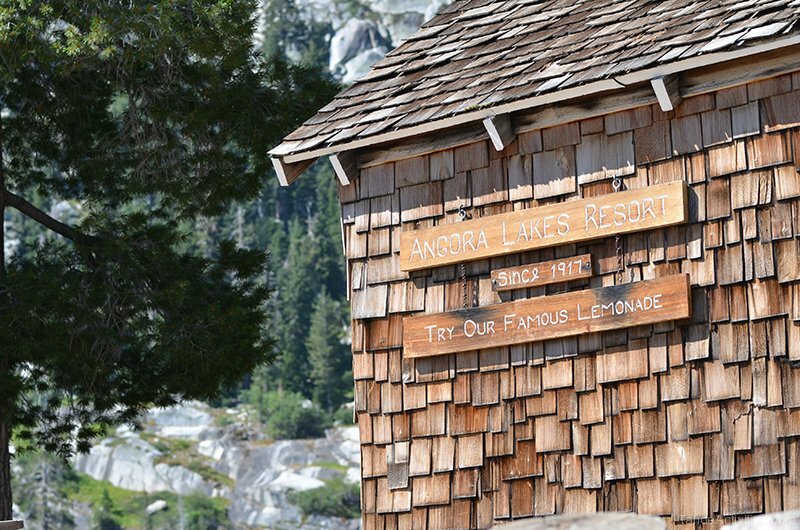 Angora Lakes Resort is located at the upper lake and is really just a quaint store selling sandwiches, ice cream and their famous lemonade. Buy a pitcher-full and relax on the resort’s deck area with your delicious lunch. 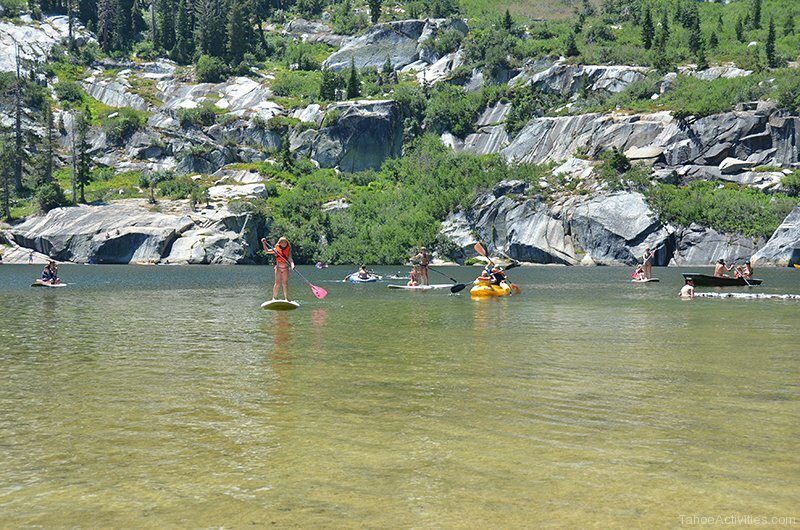 Angora Lakes Resort is also the place to rent kayaks, stand-up paddle boards, and canoes to explore upper Angora Lake. 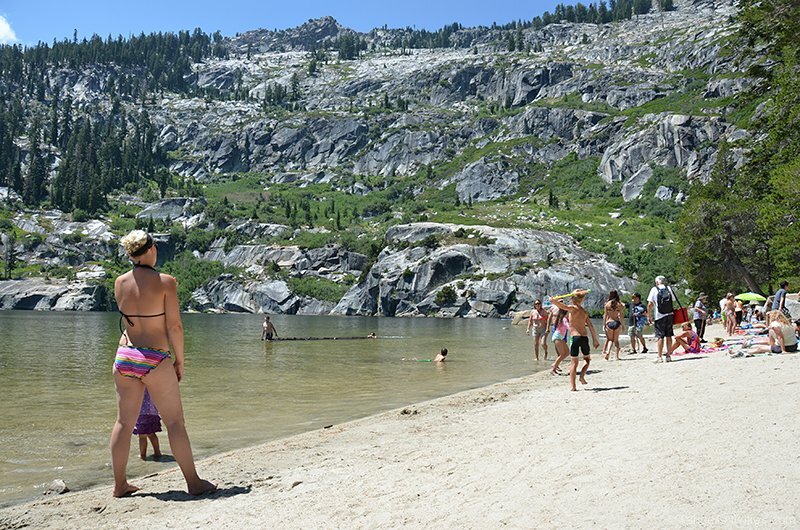 The sandy beach along the north end of the lake has great views of the granite mountain peaks. 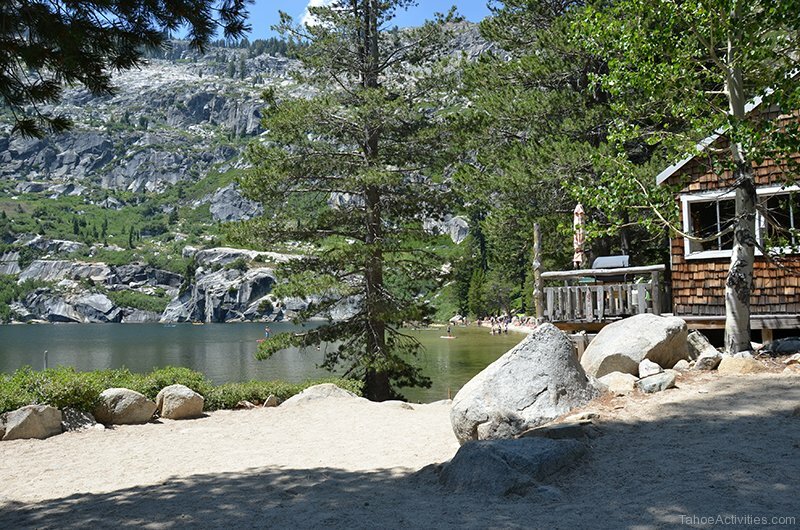 If you pack in a picnic lunch you can claim a spot at one of several picnic tables under the shade of the pine trees. 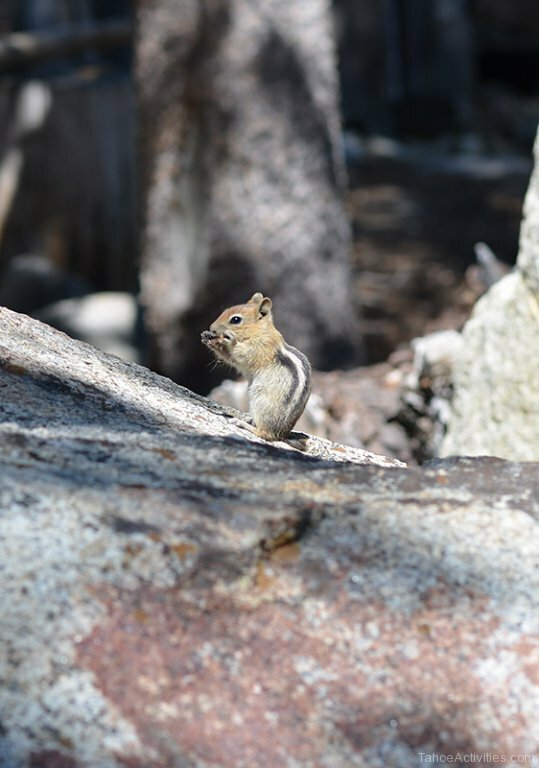 Be sure to watch out for the cute chipmunks that will try to steal your food when you’re not looking. Bring some small water toys for the kids – they will love the natural shallow swim area where you can typically find a log or two to play with and hang on to. 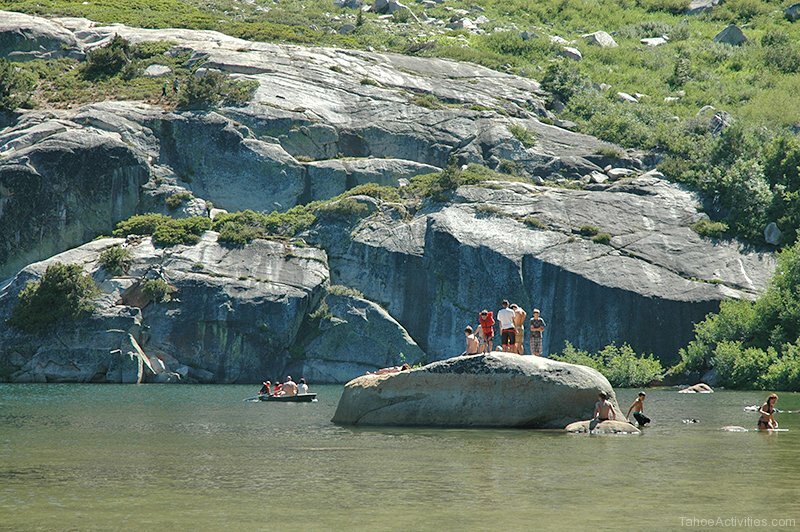 The big kids and more adventuresome folks will enjoy cliff diving off the giant boulders and cliffs. 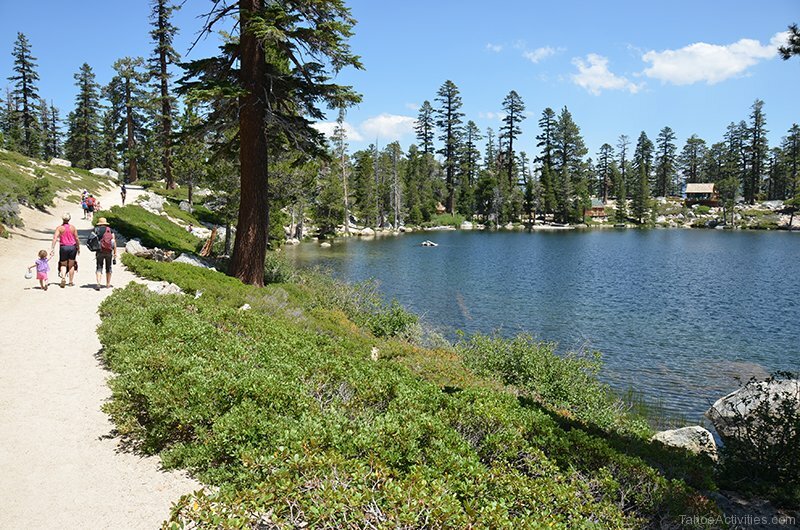 The hike to the upper Angora Lake is an easy one-mile round-trip hike, even though it is considered “rugged terrain.” There are a couple steep areas that can be easily navigated by even the youngest hikers with a little encouragement, and the trail is smooth enough for a well-built stroller. As you head in, soak in the wonderful views of the first lake with its charming cabins dotting on the East side of the lake. Very peaceful. Don’t fret. There are bathrooms (well, a couple of porta-potties) at the resort area as well. 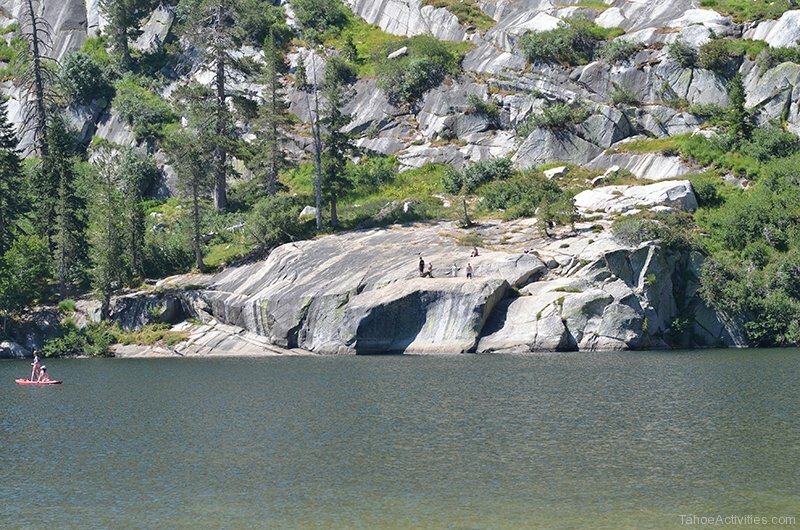 Seasoned hikers enjoy taking the Clark Trail from the southeast edge of Fallen Leaf Lake up to Angora Lakes. The hike is only 1.6 miles, but you will gain an elevation of 560 feet from start to finish, making it a hefty workout. That said, the trail should be traversed with caution as it leads up a shady wooded hillside and is made up of mostly loose shale. 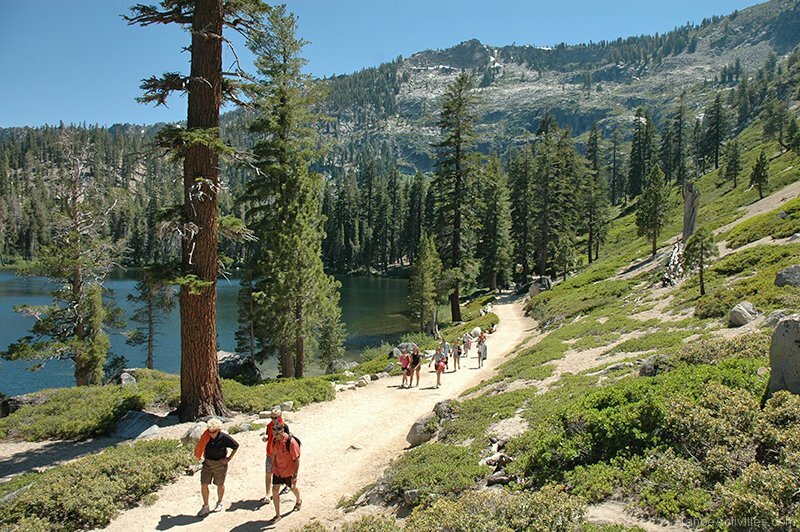 View other nearby South Lake Tahoe hiking trails for other hiking options. 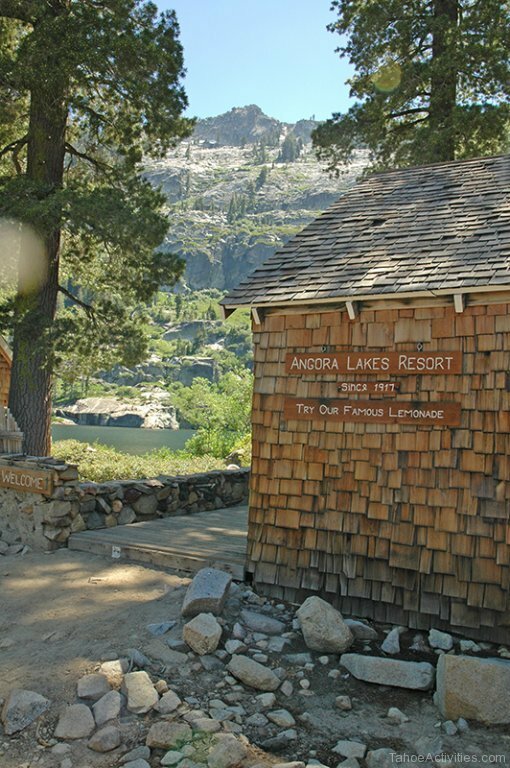 Angora Lakes Resort offers nine charming cabins for rent on a weekly basis. Staying here is a chance to truly get away from busy city life. Each rustic cabin is cozily furnished and has running water, but there are no dishwashers, microwaves, TVs, or phone/Internet. No pets allowed. These snug retreats are available mid-June through mid-September, and are so popular that they must be booked well in advance. 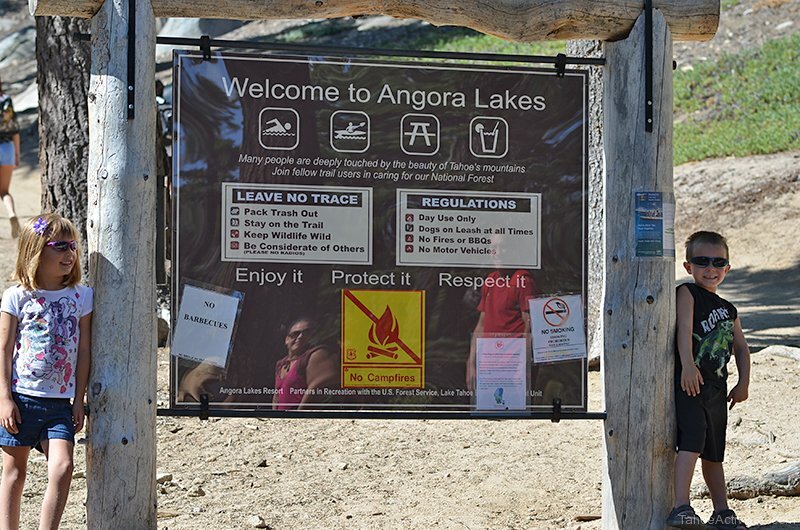 Angora Lakes is actually two lakes, a lower and an upper lake, that were named after a herd of Angora goats that used the area as their grazing grounds. The lakes rest at 7,450 feet and fill glacially carved bowls. 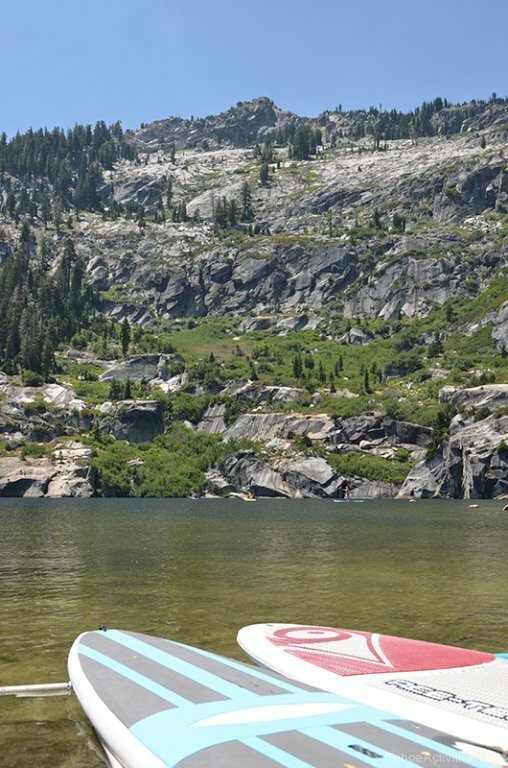 The upper Angora Lake is framed on two sides by granite cliffs that lead up to Angora Peak and Echo Peak. The upper lake is the most popular one for visitors to hike to, and the views are simply stunning to behold and make for a picturesque setting. The lower lake is host to the resort’s nine quaint lakefront cabins, which have been around since the 1920s. When driving along Hwy 89, just north of Camp Richardson Resort and Camp Richardson’s Corral, take the Fallen Leaf Lake Rd. exit which heads into Fallen Leaf Lake and Fallen Leaf Campground. You will pass the campground on your right, then Aspen groves and beautiful meadow area. Not to far past the meadow take a left on Tahoe Mountain Rd. The narrow road starts to climb and wind immediately. As you come to a slight plateau in the road keep an eye out for a dirt road exit on your right – this is your exit on to Angora Ridge Rd. (not marked by a sign). The dirt road is marked by a iron swing gate that is left open during the summer months. As you enter there will be a small meadow on your left and you will be surrounded by aspen trees. The road will soon become paved again. Angora Ridge Rd. starts to climb up to where you reach views of Fallen Leaf Lake on one side and the North Upper Truckee basin area on the other. There you will also see devastation from the 2007 Angora Fire that came through the area, but once you are at the lake it doesn’t mar the gorgeous views. Continue on and the road will dead end into the Angora Lakes parking area. Get to the parking area early to guarantee a spot! 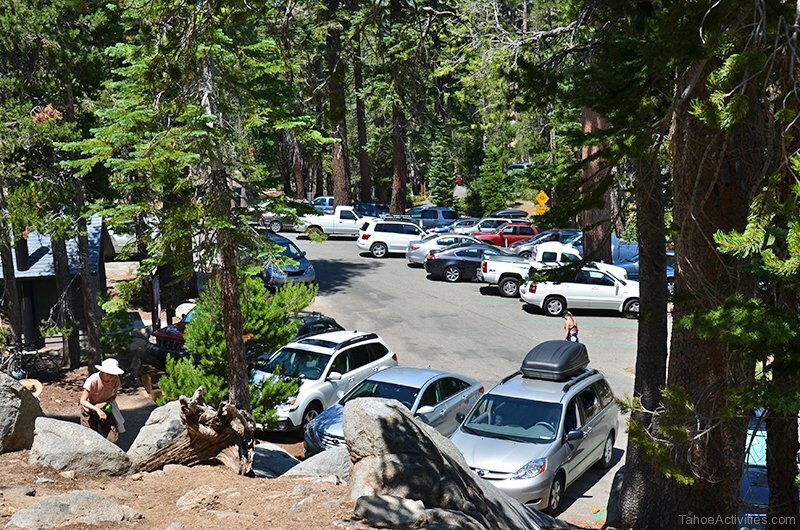 In peak summer parking fills up in the morning and there are not many other options for parking once it is full. There is a fee for parking, so plan ahead – typically under $10 for the day. If you find there is no parking then consider going to Fallen Leaf Lake to enjoy their beach and marina area. 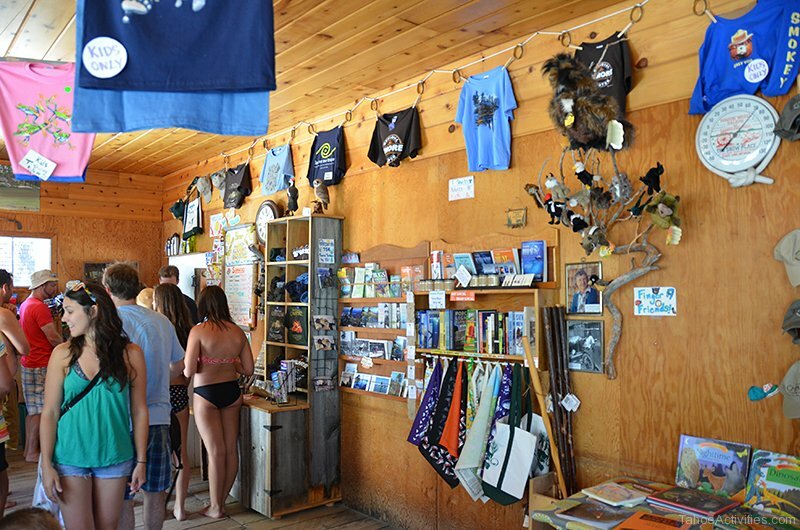 There too you can swim, rent kayaks, canoes and other water toys. The general store offers a nice selection for sandwiches, drinks, snacks and ice cream. 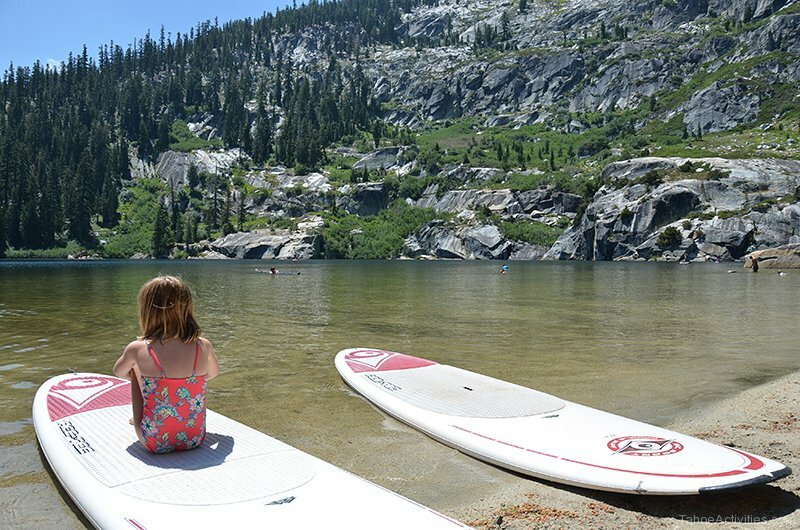 Angora Lakes should definitely be on your list of Top Ten Best Places to Visit in Lake Tahoe. 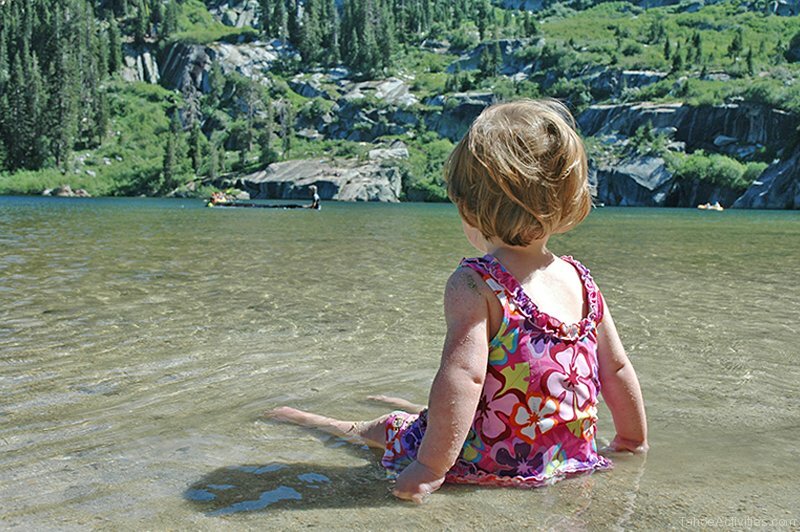 Our family doesn’t let a summer go by without a trip to Angora Lakes. It’s a great place to relax the day away with family and friends. Be sure to pack a lunch and bring your camera for some wonderful forest and lake photos! 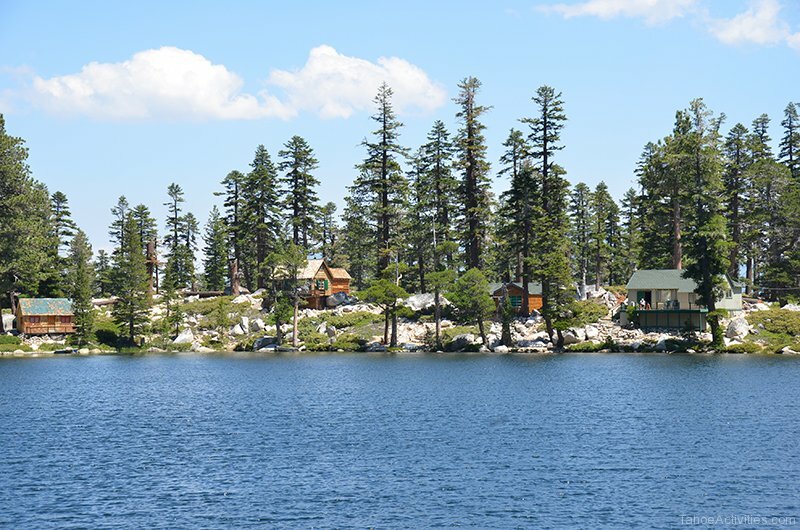 View other popular Lake Tahoe area lakes near Lake Tahoe like Donner Lake, Serene Lakes, Echo Lakes and Fallen Leaf Lake which is very near Angora Lakes.